Wounded, bickering, and utterly incapable of handing the situation, the Blackfriars call on Brian to put things right. But if he’s not capable of even holding onto a boyfriend, how can he possibly muster the confidence needed to save heaven and earth? 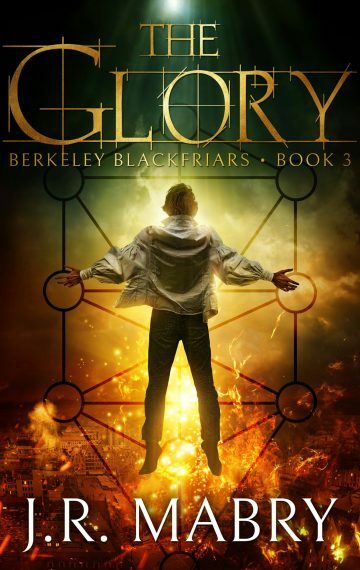 The Glory is the third book in the Berkeley Blackfriars series. If you love supernatural suspense laced with humor and danger, you’ll love J.R. Mabry’s Berkeley Blackfriars’ books. Fans of Buffy the Vampire Slayer, Preacher, The Dresden Files, and the Mercy Thompson series will thrill to this new paranormal fantasy adventure.